Crow Holding’s new Stafford Grove industrial project is now 85 percent complete. 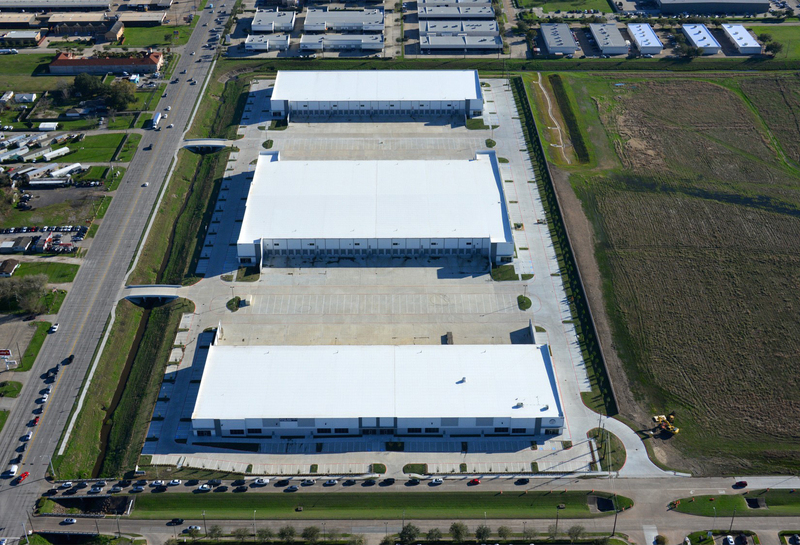 HOUSTON – (Realty News Report) – The new Stafford Grove Industrial Park, a 352,000-SF in Houston’s southwest market, has reached 85 percent occupancy. The spec project, completed in January 2017, is owned by Crow Holdings Industrial. Notable tenants that have signed leases at Stafford Grove include Jackson Supply, Tire Centers, Mester Lighting Corporation, Matrix Metals, QRC Valve Distributors, Chaoda Supply and 700 Valve Supply. Stream notes the southwest Houston industrial submarket has an overall vacancy rate of 5.8 percent at the end of the third quarter of 2017, and expects this number to dip before the end of the year. Stafford Grove is comprised of three buildings with rear-load, front-load and cross-dock capabilities. Stafford Grove is Crow Holdings Industrial’s second development in Houston – the first was Apex Distribution Center in northwest Houston, which sold earlier this year to WPT Industrial REIT.